AMAZING Support. 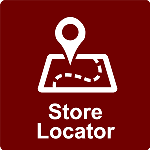 There were a couple items that needed some attention on the Store Locator module and we were treated like a real Client, not just an invoice number that purchased a module from them. The module did take a bit longer than initially anticipated to get working to our needs. BUT, considering the high level of support and attention paid to meet our needs, and the reasonable price tag for the module, I would gladly work with Smith Consulting again. My clients enjoy working with this module. Easy to use and very useful.